I've been working hard decorating the Clubhouse all day. You see, today is Clubhouse day. That's why I made this banner. It has a message on it. 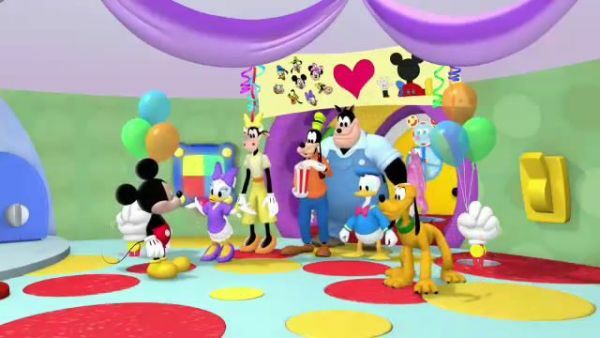 Here's what it says: this is a picture of all our Clubhouse friends. So that means all the friends. Hello there, all of you everyone. Ooh, I see a great big whirling wind a-blowing in from the north. So, just to be safe, everybody should take shelter in the Clubhouse basement, down there. MICKEY MOUSE: Sure thing, professor. PROFESSOR VON DRAKE: Over and out, goodbye. 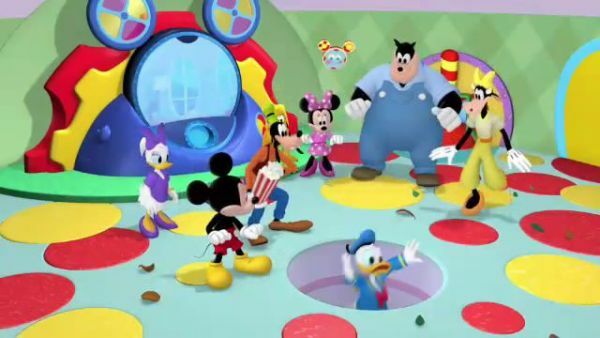 MICKEY MOUSE: Come on everybody to the basement. 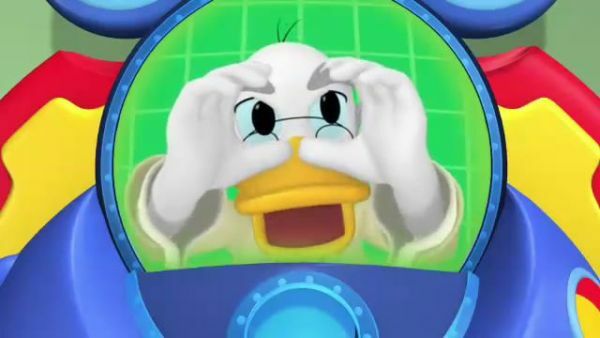 DONALD DUCK: Oh, boy. 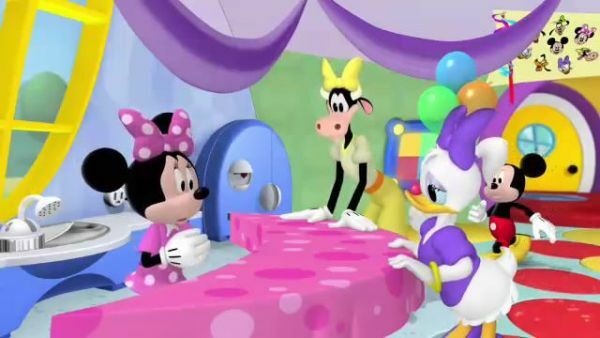 CLARABELLE: This is fun. PETE: Last one in is a flying monkey. TOODLES: Whoo-hoo-hoo-hoo! DAISY: Yippee! MINNIE: Oh, there goes my bow. MICKEY MOUSE: Uh-oh. After it, Pluto. Oh, gosh. It's a big whirly wind. Minnie, hurry. We've gotta get down to the basement. MINNIE: Oh, the wind is too strong. Whoa! Don't worry, Mickey. We'll be safe in the shoe garage. 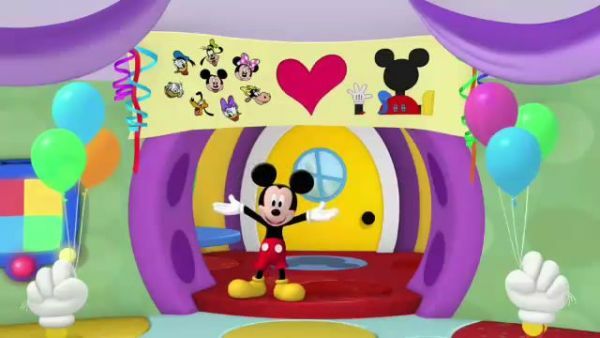 MICKEY MOUSE: OK. Be careful. 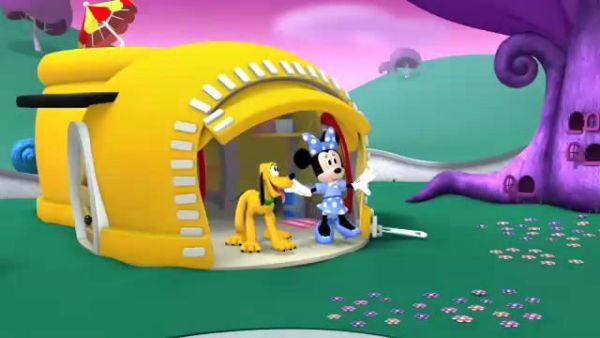 MINNIE: Hold on, Pluto. I think we're going for a little ride. Oh, my. Are you all right, Pluto? I hope everything's OK at the Clubhouse. This doesn't look like the Clubhouse. I wonder where we are, Pluto. Oh, my. Look. This place is really silly. 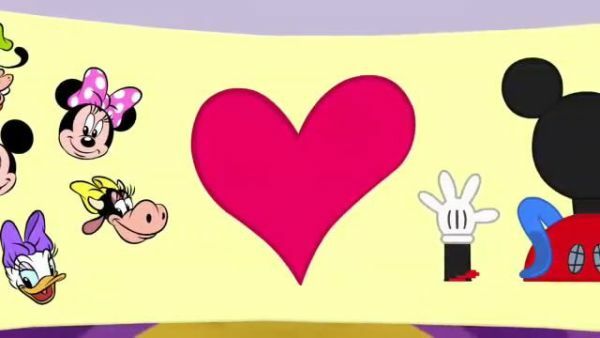 CLARABELLE: Oh, goodness sakes. Oopsie me. MINNIE: Ooh, you have a wand. Are you a fairy or a witch? 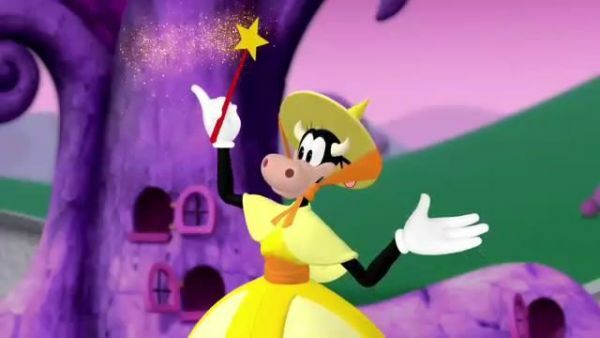 CLARABELLE: I'm a witch.